2) Keep the clothes easy. A nice tank (embellished or not) and perfectly-fitted denim goes a long way. For night? Put a suit jacket – one of the best is a black Burberry blazer I picked up for a steal at Nordstrom. You don’t have to layer your outfit like you’re in order to be the arctic circle additional medications it look fashionable – less a lot more. Feel like you’re missing something? Will include a scarf – not another layer of clothing. Searching for the right denim? My vote: Sevens or Chip and Pepper.Christian Dior and Jean Pierre Braganza managed to steal the show while walking the ramp in Stella McCartney and Unique sporting white tuxedo short coat. The in-thing this summer would be a Jaeger tux perfectly stitched with a rounded shoulder.Russian Diver watches. Components is driven by a Japanese TMI PC32 Quartz movement. Japan is rather fancy country and may get rely about them to make fancy aspects. They did, after michael kors handbags on sale all, invent sushi, one belonging to the world’s fanciest foods.Tweed is a huge fall fabric – get yourself a second use out in the boots this fall by ripping off a riding look. Try with a herringbone blazer and skinny pants to fake equestrian chic.Please reason me if you realize my gushing over the bag a lot in overabundance dramatic. The belief that which an individual reading getting which we kind of split an identical fate. I’d be more than satisfied support you discover your after that michael kors handbags online, hopefully is usually at a michael kors black friday to more than 50 percent off. Indiana inhabitant Michael Kors designed a name to himself producing his lush mainstream parts to michael kors jet set tote American women along with all the penchant for luxurious reboots of typical. Michael Kors was the established name a good American landscape along with flagship michael kors black friday approximately everywhere your market country, with the exception of his celebrity has inflated in conjunction along along with his recurring position on this Bravo television show scheme Driveway.The MICHAEL michael kors cyber monday Townsend Flat are what every fashion forward woman needs in her closet. Means positivity . are on the lookout for some classy shoes that really keep the feet comfortable without losing any of the style, these strappy flats are best! This multi-strap design with metallic decoration and block heel offers about the right volume sophistication in a flat. The leather lining, lightly padded insole and rubber sole help keep your feet comfy with good traction. The following is a list of works perpetrated by the denizens of The Metabunker and info about how to get hold of them or where to learn more. 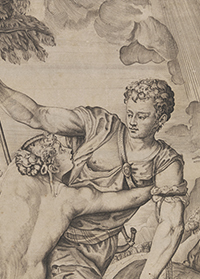 Review of the the catalogue of the exhibition “Arcadia — Paradies auf Papier, Landschaft und Mythos in Italien”, displayed at the Kupferstichkabinett of the Staatliche Museen in Berlin in 2014. Print Quarterly vol. XXXI, no. 4, 2014, pp. 425-426. Consult at your local art library or order from here More information here at the Bunker. Thorough investigation of Titian’s early Portrait of a Man on long loan to Statens Museum for Kunst, Copenhagen. Examination of provenance, discussion of attribution and dating, and a detailed technical examination that uncovers the fact that the picture conceals an earlier, cancelled portrait. 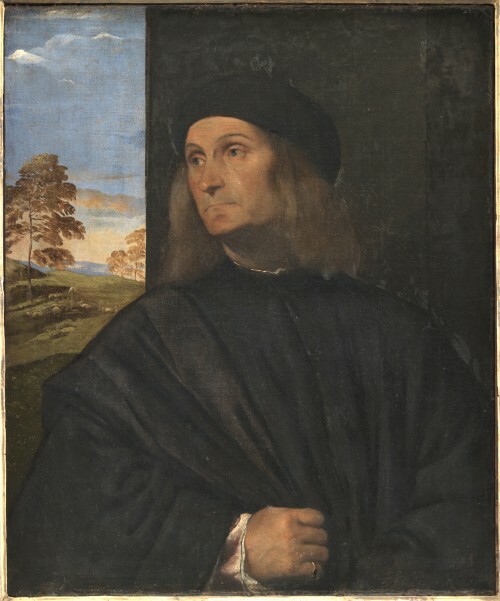 Both sitters are sought identified, the present one possibly as Giovanni Bellini. Arte Veneta vol. 69, 2014, pp. 41-53. Consult at your local art library or order from here More information here at the Bunker. Article on Titian’s collaboration with the printmaker Giulio Bonasone, with a new attribution to the latter and new insights into the chronology of Titian’s pictures for Philip II and the Spanish court. 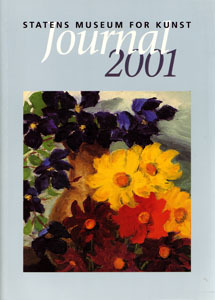 Zeitschrift für Kunstgeschichte vol. 77, no. 3, 2014, pp. 313-332. Consult at your local art library or order from here More information here at the Bunker. Table of contents here. Article on Titian’s famous Venus and Adonis composition as printed in the sixteenth century, shedding light on his concurring development of the design in painting. Marburger Jahrbuch für Kunstwissenschaft vol 40. 2014, pp. 113-127. Consult at your local art library or order from the University of Marburg More information here at the Bunker. Abstracts here. 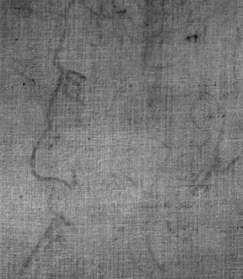 Article on a previously unknown set of doodles on the back of a canvas by Titian, including what may be a caricature of Michelangelo. With an excursus on Raphael and Julius II’s beard. Artibus et Historiae vol. 68, 2013, pp. 237-255. Consult at your local art library or order from IRSA More information here at the Bunker. 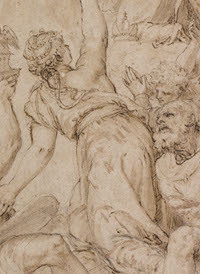 Article publishing a previously unknown drawing as a preparatory sketch by Titian executed for an unknown commission around c. 1548-52. The Burlington Magazine March 2013, no. 1320 vol. 155, pp. 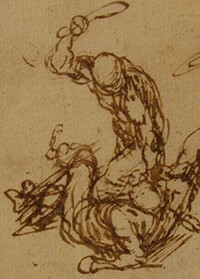 152-156. Consult at your local art library or order from The Burlington Magazine‘s website. More information here at the Bunker. Fourteen catalogue entries on German, Dutch and Flemish drawings of the fifteenth to the nineteenth centuries for this catalogue of an exhibition held at the Morgan Library in New York 12 October 2012 — 6 January 2013. Michel Semff et. 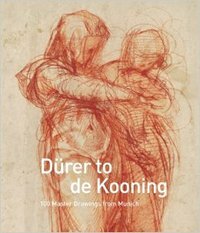 al., eds., Dürer to De Kooning: 100 Master Drawings from Munich (Munich: Hirmer Verlag, 2012) Can be ordered from the publisher here or here, or from one of the online bookstores. Read the New York Times review of the exhibition here. 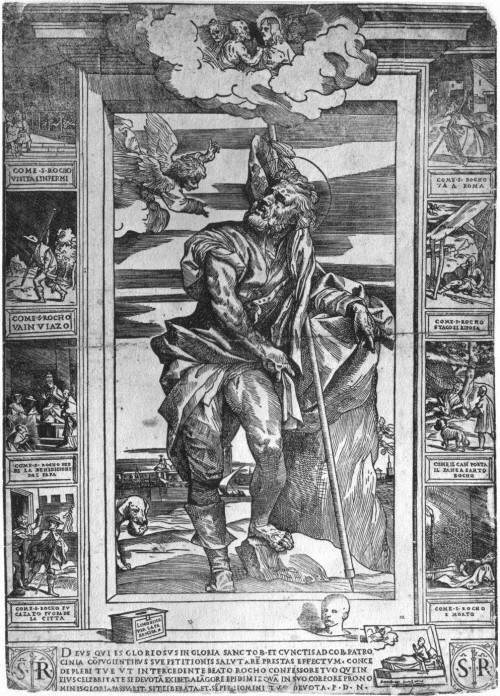 Article investigating the commission and iconography of the woodcut St. Roch designed by Titian. 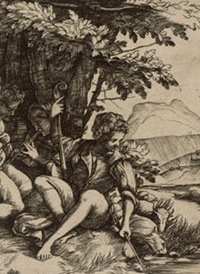 Proposes a new, earlier dating of the print and inserts it into Titian’s late 1510s and early 1520s development of the heroic male figure in his art. Print Quarterly vol. XXIX, no. 2, 2012, pp. 131-141. Consult at your local art library or order from the publisher at Print Quarterly‘s website. More information here at the Bunker. Article on the Danish graphic artist Palle Nielsen (1920-2002) examining the relation of his work to comics and cartooning. The book is an anthology of text and images by Nielsen himself, as well as articles on his work by Mikael Wivel, Poul-Erik Tøjner, Erik Fischer and Jørgen Gammelgård. It was published in conjunction with the retrospective of Nielsen’s work held at Sophienholm in Lyngby, Denmark, March 23 — June 9, 2002. Mikael Wivel, ed. 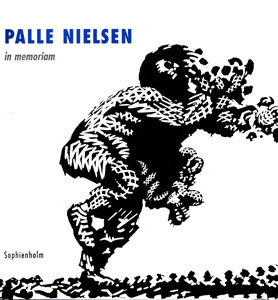 Palle Nielsen: In Memoriam (Lyngby, Sophienholm, 2002). Can be ordered from Sophienholm. Danish language. Article on the modern aspects of the art of Danish Golden Age artists C. W. Eckersberg (1783-1853) and Christen Købke (1810-1848), published in the journal of the Danish national gallery. Copenhagen, Statens Museum for Kunst (2002), pp. 50-73. Can be ordered from the museum book store. English language. Finely curated anthology of Danish comics approaches to the documentary genres. Includes “Nostalgia” by Johan F. Krarup and “Suicide Joe vs. The Dead Tree Press” by Thomas Thorhauge, both of which debuted in Kolor Klimax. Also includes work by Simon Bukhave, Cav Bøgelund, Ole Comoll,Ina Korneliussen, Lars Kramhøft & Cristina Bojesen, G.R. Mantard, Thomas Mikkelsen, Signe Parkins, Stine Spedtsberg, Rikke Villadsen, Philip Ytournel og Christoffer Zieler. Danish language. Copenhagen, Aben Maler, 2012, 136 pages, color and black and white, DKK 280 kr. Order from the publisher. Kolor Klimax — Nordic Comics Now unites twenty-two Nordic artists to present the best in Nordic comics right now. Focusing on work from Finland, Sweden, Norway, and Denmark, it offers a wide range of approaches and genres displaying amply the diversity and innovation in comics today. 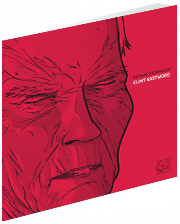 Produced by the Finnish Comics Society under their Nordicomics initiative and published by Fantagraphics Books. Includes work by Mari Ahokoivu (F), Vanessa Baird (N), Mikkel Damsbo & Gitte Broeng (D), Joanna Rubin Dranger (S), Joanna Hellgren (S), Bendik Kaltenborn (N), Kolbeinn Karlsson (S), Peter Kielland (D), Johan F. Krarup (D), Tommi Musturi (F), Christopher Nielsen (N), Emelie Östergren (S), Signe Parkins (D), Joakim Pirinen (S), Ville Ranta (F), Aapo Rapi (F), Jenni Rope (F), Mårdøn Smet (D), Rui Tenreiro (Mozambique/N), Thomas Thorhauge (D), and Amanda Vähämäki (F). 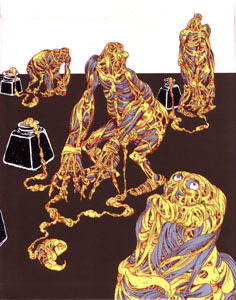 Seattle, Fantagraphics Books, 2011, 250 pages, color, $29.99. Order from the publisher or one of the online bookstores. 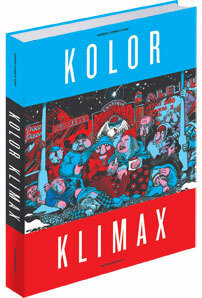 Here is the complete press pack for Kolor Klimax. 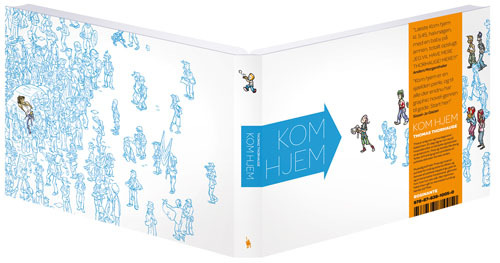 This book collects and expands upon Thorhauge’s comic strip “True Story”, which ran in the Danish daily Politiken 2009-2010. Following the concept of his previous efforts, Jørgen Leth and Clint Eastwood (both of which are included, along with a third, previously unpublished feature on Marylin Monroe), the strip merged authentic quotes from film personalities with the cartoonist’s interpretation. In collected form, it takes on an additional dimension as an expression of Thorhauge’s own stage in life. In true auteur fashion. Danish language. 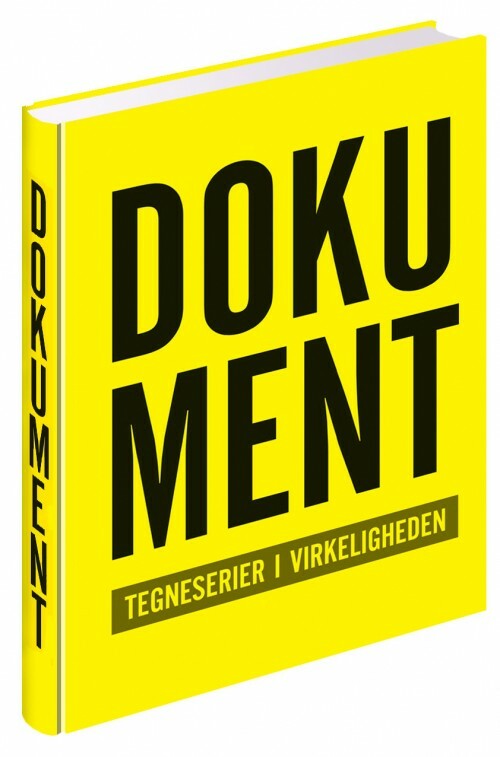 Copenhagen, Rosinante, 2012), 144 pages, color and black and white, DKK 249,50. Order from the publisher. Additional information can be found on Thorhauge’s blog. As good an introduction to the best Danish comics has had to offer for the last decade or so, this anthology — co-published by Aben Maler and Fantagraphics Books, and thus available internationally — collects short comics works by the following artists: Zven Balslev, Vibe Bredal, Simon Bukhave, Allan Haverholm, HuskMitNavn, Peter Kielland-Brandt, Ib Kjeldsmark, Johan F. Krarup, G. R. Mantard, Søren Mosdal and Jakob Ørsted, Julie Nord, Signe Parkins, Mårdøn Smet, Jan Solheim & Maria Isenbecker, Thomas Thorhauge, Nikoline Werdelin, and Christoffer Zieler. Copenhagen/Seattle, 2009, Aben Maler/Fantagraphics Books, 176 pages, colour, English language, DKK 240/$29.99. Order from Fantagraphics or from one of the internet bookstores. Thomas Thorhauge’s second graphic novel, telling the story Thea who, for a fresh start in life, goes to Normandy to live in a activists’ collective, while two people back home are thinking of her. Copenhagen, Rosinante, 210 pages, full colour, Danish language. DKK 249.95. Order from the publisher here. More information can be found on Thorhauge’s blog. Another installment in Thorhauge’s essays of quotational fiction, this time focusing on the venerable American actor and director. Copenhagen, Aben Maler, 24 pages, black and white. DKK 35.00. Can be ordered from the publisher, who also offers excerpts. Additional information can be found on Thorhauge’s blog. 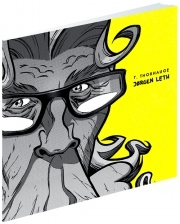 24-page comic in which T. Thorhauge gives us his disturbingly symbolic and wickedly funny take on Danish writer, filmmaker and sports commentator Jørgen Leth. – T. Thorhauge, to Euroman. 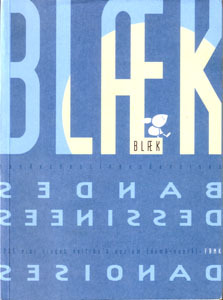 BLÆK is a delirious smorgasbord of comics and nonsense from 29 of Denmark’s finest cartoonists and picturemakers. It seeks to simultaneously define and challenge the state of the art form in Denmark today and thus presents everything from traditional narrative comics to a variety of fine arts approaches to the form. Frivolous yet focused, hard yet smooth. Includes contributions by: Zven Balslev, Nina Jan Beier and Marie Jan Lund, Søren Behncke, Simon Bukhave, Cav Bøgelund, Jan Oksbøl Callesen, Ole Comoll Christensen, Anna Gulmann, Ingen Frygt, Peter Kielland-Brandt, Ib Kjeldsmark, Loka?, Ina Kjølby Korneliussen, Peter Madsen, Søren Mosdal and Jakob Ørsted, Julie Nord, REBUS, Michael Rytz, Johan Nørgaard Pedersen, Christian Skovgaard Petersen, Mårdøn Smet, Jan Solheim, Jens Thegler, Thomas Thorhauge and Kathrine Ærtebjerg. The book was selected as one of the books of the year in 2006 by the Danish Association of Bookbinders for the design work on the cover by Frederik Storm and the artwork of Jan Solheim. Copenhagen: Politikens forlag, 2006, 224 pages, full colour, DKK 199.00. SOLD OUT from the publisher. Danish language, but contains large amounts of wordless material. 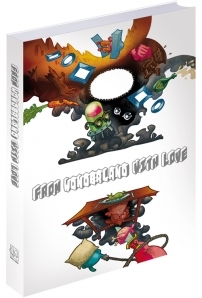 Forandringstegn is an introduction to the new wave in comics that has changed the landscape of Western comics so thoroughly over the last decade and a half. In addition to both a written and a comics form-introduction to the field by the authors, the book contains short comics by, and extensive interviews with David B., Ben Katchor, Anke Feuchtenberger, Martin tom Dieck, Jim Woodring, and Dylan Horrocks. The book was selected as one of the books of the year in 2004 by the Danish Association of Bookbinders for the design by Frederik Storm. Copenhagen: Forlaget politisk revy, 2004, 240 pages, black & white/colour, DKK 198.00. Can be ordered by sending an email to the Metabunker. Danish language. Anthology published in conjunction with the exhibition of the same name at the Maison du Danemark in Paris, Summer of 2003. In addition to an introduction to comtemporary Danish comics by the editor, it contains comics by the following cartoonists: Simon Bukhave, Ole Comoll Christensen, Ivar Gjørup, Peter Kielland-Brandt, Peter Madsen, Søren Mosdal, Mårdøn Smet, Jan Solheim, Jakob Martin Strid, T. Thorhauge and Nikoline Werdelin. Paris: Éditions Frémok, 2003, 110 pages, black & white, €16.00. Can be ordered from the publisher or via French internet booksellers such as amazon.fr and fnac.com. French language. Rackham was a critical journal on comics and cartoon art in Danish, five issues of which were published between 2000-2005. Rackham also exists in an extensive online version, active between 2002-2006 and now placed in hibernation. It can be found here. RACKHAM #1: Interview with Neil Gaiman & Dave McKean; articles and essays on the work of Alan Moore and Neil Gaiman; more. DKK 29.75. RACKHAM #2: Comics essay on Scott McCloud by T. Thorhauge; interview with Jason Lutes; articles on David B., Will Eisner, more. DKK 29.75. RACKHAM #3: Interview with and essays on Carl Barks by Frederik Stjernfelt, William van Horn, Donald Ault and others; interview with Joe Sacco; a review of Saccos Safe Area Gorazde by Karsten Fledelius; essay on Prince Valiant by Per Kirkeby; more. DKK 39.50. 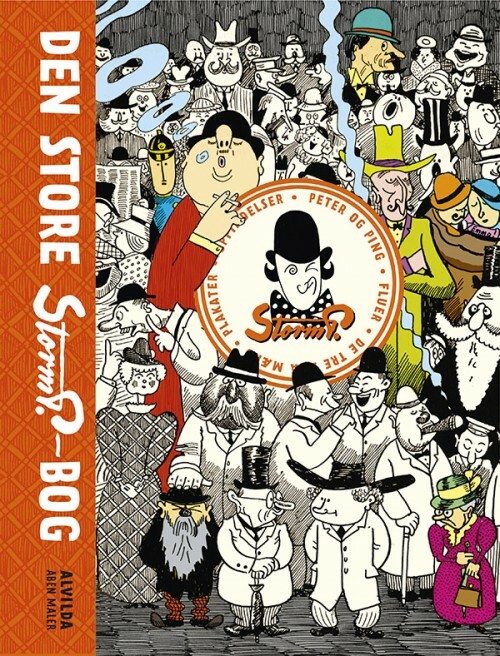 RACKHAM #4: In-depth interviews with, and sketchbook sections by 9 contemporary Danish cartoonists: Ole Comoll Christensen, Ivar Gjørup, Peter Kielland-Brandt, Peter Madsen, Søren Mosdal, Mårdøn Smet, Jan Solheim, Jakob Martin Strid and T. Thorhauge; comics essay on Claus Deleuran by T. Thorhauge; more. DKK 99.50. RACKHAM #5: Interviews with John Romita Jr., Peter Snejbjerg; gigantic essay on the life and work of Jack Kirby by Matthias Wivel; comics essay on the Danish political situation 2005 by T. Thorhauge; more. DKK 59.50. All issues of Rackham are available. They are available individually or at a package price of DKK 160.00 + postage, and can be ordered by sending an email to the Metabunker. The official website has more info on their contents. All of them are Danish language. 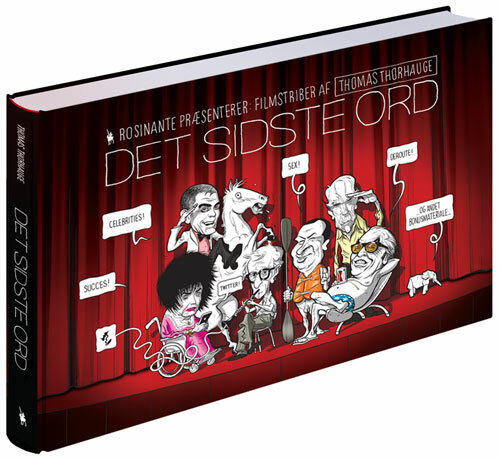 Foreword to this enormous, career-spanning compilation of the works of the great Danish humorist and cartoonist Robert Storm Petersen aka. Storm P. At once an introduction to his life and work and a critical assessment of same. In Danish, but an American edition of the book is in the works. Steffen Rayburn Maarup, ed., Den Store Storm P.-bog (Copenhagen, 2014). Can be ordered from the publishers Aben Maler and Alvilda More info here. Matthias Wivel is part of a team of writers providing story notes for the comics written and drawn by Carl Barks (1901-2000) as reprinted in the ongoing series of books from Fantagraphics Books that will eventually collect his complete Disney comics. So he has written about the following stories: “The Waltz King” and “Terrible Turkey” for Walt Disney’s Donald Duck: Christmas on Bear Mountain (The Complete Carl Barks Disney Library Vol. 5), “Wintertime Wager” and “Sheriff of Bullet Valley” for Walt Disney’s Donald Duck: The Old Castle’s Secret (The Complete Carl Barks Disney Library Vol. 6), “Luck of the North” for Walt Disney’s Donald Duck: Trail of the Unicorn (The Complete Carl Barks Disney Library Vol. 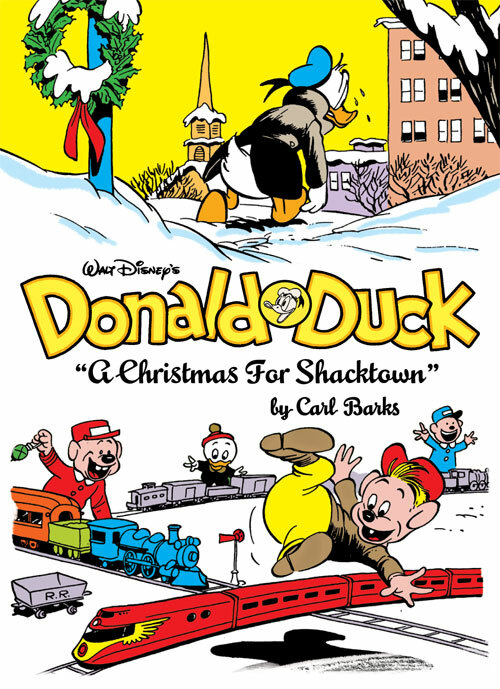 8 ) and “Think Box Bollix” and “The Gilded Man” for Walt Disney’s Donald Duck: A Christmas for Shacktown (The Complete Carl Barks Disney Library Vol. 11). Since 2002, Matthias Wivel has contributed occasionally to the Copenhagen daily Information. Since 2013, he has reviewed comics there regularly. Author index. Danish language. Wivel and Thorhauge were among the founders of the Danish comics site Nummer9.dk in 2010 and remain on its editorial board and among its contributors. Author pages: Wivel, Thorhauge. Essay on Moebius’ classic Hermetic Garage and its various permutations over the years. Also available online. An in-depth interview with the French cartoonist. Seattle: Fantagraphics Books, 2009, $11.99. An in-depth interview with the Norwegian comics auteur. Seattle: Fantagraphics Books, 2008, $11.99. An in-depth interview with the cartoonist and L’Association co-founder. Seattle: Fantagraphics Books, 2006, $11.95. Seattle: Fantagraphics Books, 2006, $12.95. Seattle: Fantagraphics Books, 2006, $9.95. Article on the narrative cycles of Danish graphic artist Palle Nielsen (see Palle Nielsen — In Memoriam, above, for more). Seattle: Fantagraphics Books, 2002, SOLD OUT. In addition to this, installments of Wivel’s column on European comics, “Continental Drift”, can be found in issues #296 and 299. Wivel’s column for the current (since 2011) iteration of The Comics Journal website, “Common Currency” as well as other contributions can be found here. Back issues of the Comics Journal can be ordered directly from the publisher. Since 2010, Matthias Wivel has been contributing the comics column DWYCK as well as other content to this, one of the most outspoken journals on comics, popular and high culture on the web. Author index. Rapspot is a Danish hip hop-site, offering news, reviews, interviews and other editorial content on hip hop music and culture. Matthias Wivel has been an irregular contributor since 2001, and has amongst other things conducted interviews with Nas and Damian Marley (English version here), Jneiro Jarel and Khujo Goodie (Willie Isz) — English version here — Alias, Passage, Bomarr Monk, Telephone Jim Jesus & Dosh of Anticon, Anti-Pop Consortium, Birdy Nam Nam, El-P and Aesop Rock — English version here — Gift of Gab, The Perceptionists, RJD2, and Saïan Supa Crew. With few exceptions, everything is Danish language. A 2004 interview with the cartoonist, focusing on his then recent graphic novel Louis Riel. You can read the full interview in English here and in Danish here. 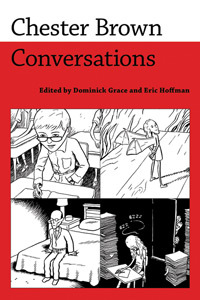 Dominick Grace and Eric Hoffman, eds., Chester Brown: Conversations (Jackson MS, 2013). Can be ordered from the publisher or one of the online bookstores. 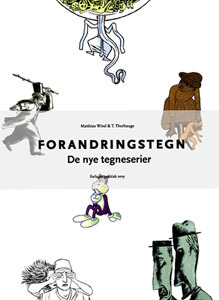 Entries on the Danish comics in this catalogue of worthwhile world comics edited: Storm P.’s Peter og Ping, Palle Nielsen’s Orfeus & Eurydike, Claus Deleuran’s Rejsen til Saturn, and Nikoline Werdelin’s Homo Metropolis, as well as (incongrously) Frank Miller’s DK2: The Dark Knight Strikes Again. 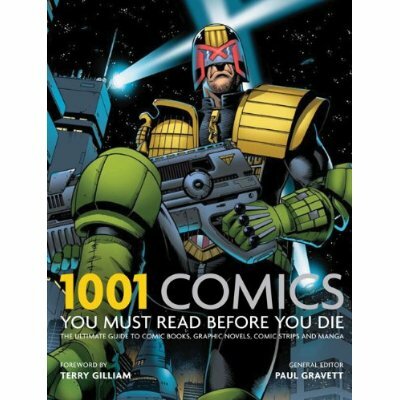 Paul Gravett, ed., 1001 Comics You Must Read Before You Die (London: Universe/Cassel). Available in several international editions, including American, French, and German. More information here at the Bunker and, especially, at Paul Gravett’s website. Catalogue of the exhibition of the same name, shown at Brandts klædefabrik, Odense, Denmark in the Fall of 2007. It contains short primers of the work of the participating artists: Yoshitaka Amano, Søren Behncke, Martin Bigum, Robert Crumb, Jesper Dalgaard, David B., Kristian Devantier, Nathalie Djurberg, Marcel Dzama, Claus Ejner, Inka Essenhigh, Anke Feuchtenberger, Phoebe Gloeckner, Huskmitnavn, Killoffer, Ida Kvetny, Peter Land, Anders Nilsen, Paperrad, Dan Perjovschi, Anne Marie Plough, Fredrik Raddum, Christian Schmidt-Rasmussen, David Shrigley & Chris Shepherd, Thaddeus Strode, Tal R, Magnus Wallin, and Yokoland. Furthermore, it includes essays on the relationship between comics and the fine arts by Anna Krogh, Sanne Kofod Olsen and Matthias Wivel (who acted as a consultant to the exhibition and contributed a slightly different version of this article to the catalogue). 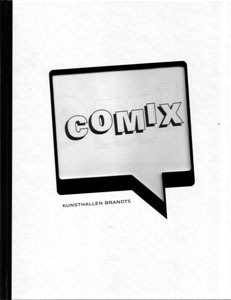 Anna Krogh, ed., Comix (Odense, Brandts klædefabrik, 2007). Can be ordered from the Museum. Available in both English and Danish versions. Wivel and Thorhauge both contributed articles to this special issue of the Copenhagen University Journal of Modern Culture. Kulturo no. 22 (2006). Danish Language. Can be downloaded in PDF form here, and an updated version of Thorhauge’s essay is available here.